Today, we feature the second part of our series of articles about new Papo prehistoric animal models being introduced this year. Papo intends to add several new models to its “Dinosaures” range of figures in 2017, ironically not all of them are dinosaurs. At the end of quarter two (June), Everything Dinosaur will be receiving stocks of the Ceratosaurus, Acrocanthosaurus the Pterosaur figure (Dimorphodon) and two prehistoric animal models, a Cave Bear (Ursus spelaeus) and a roaring Sabre-Toothed Cat (see, we told you it wasn’t just dinosaurs)! We at Everything Dinosaur, are not sure what species of dinosaur this Ceratosaurus model represents but it certainly looks quite frightening. This model will have an articulated lower jaw. It is expected to be in stock at our warehouse sometime in the summer, perhaps June. Joining the Ceratosaurus is this splendid model of yet another Theropod dinosaur, the mighty Acrocanthosaurus – and what a spectacular model this is! It too, is due out in the summer and it will also have an articulated lower jaw, making it great for creative, imaginative play. The Papo Dimorphodon is posed in a terrestrial position, after all, these flying reptiles did not spend all their time in the air. We expect this Pterosaur figure to be available at around the same time as the Papo Ceratosaurus and the Papo Acrocanthosaurus models. This is the third flying reptile model to be added to the range. It joins the Pteranodon and the beautiful Tupuxuara model, however, the Papo Dimorphodon will have an articulated lower jaw. It was the German anatomist J. Rosenmüller who named and described this species of bear in 1794. 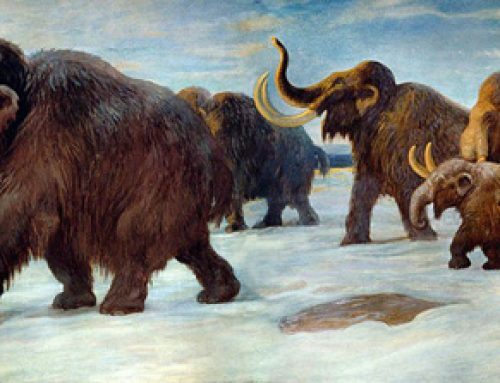 The famous French scientist Georges Cuvier also published work on these Ice Age animals. Along with the Cave Bear model, Papo will be adding a roaring Smilodon figure to its model range. The colouration and markings chosen for this particular replica are highly unusual. The artists involved in the painting seem to have been inspired by lions and tigers when it came to sorting out the “look” for this replica. Still, it’s good to see prehistoric animals added to a range and not just dinosaur models. The Papo roaring Smilodon model. Shortly, we will be posting up details on the last of the planned 2017 prehistoric animal model releases from Papo. The 2017 Papo Smilodon is so disappointing to me.. I find it ridiculous looking in every way. I don’t think there is anything scientifically accurate about this figure at all. It looks like some kind of mythical creature with a mix of modern Tiger & lion parts. I respectfully disagree with you on the Smilodon . I don’t see anything accurate about it at all.. 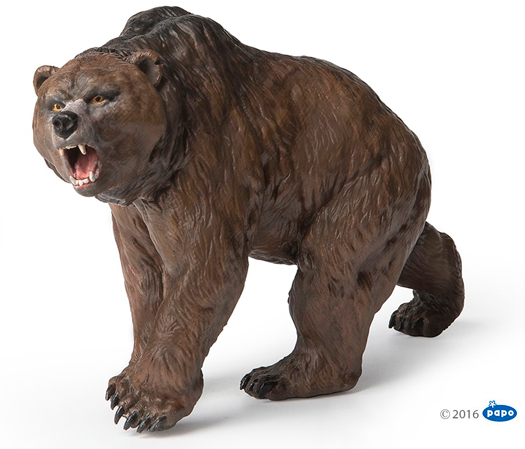 In fact, I think almost all mainstream Smilodon figurines are very inaccurate overall., but especially this one. I collect scientifically accurate figures of this animal, , so I am VERY limited to what I have in my collection. Maybe Papo sculptors of this cat should pull up paintings from Paleo artist Charles R Knight for assistance.. To myself this 2017 Papo Smilodon is one of the worst I have seen . I am not about dramatic posses in figures, I prefer scientific accuracy figures, so I definitely passed on this one. I hope Papo should visit here in the Philippines or any other company cause schleich has no competitors here. I’m not fond of buying online, so I prefer at hand. Since I already have a job, I can now buy your stuff and be a loyal customer. I guess I’m not the only aspirant that hoping dreams surely come true. Please don’t ignore. God bless. Thank you for your comment, just to reassure you Everything Dinosaur has lots of customers in the Philippines, you can purchase tax free at Everything Dinosaur and we even offer the extra security of a signed for shipping service as well as subsidised airmail postage. Hope this helps.